Carlo Abarth founded his Company in Turin in 1949, and his logo is a shield with a stylised scorpion. 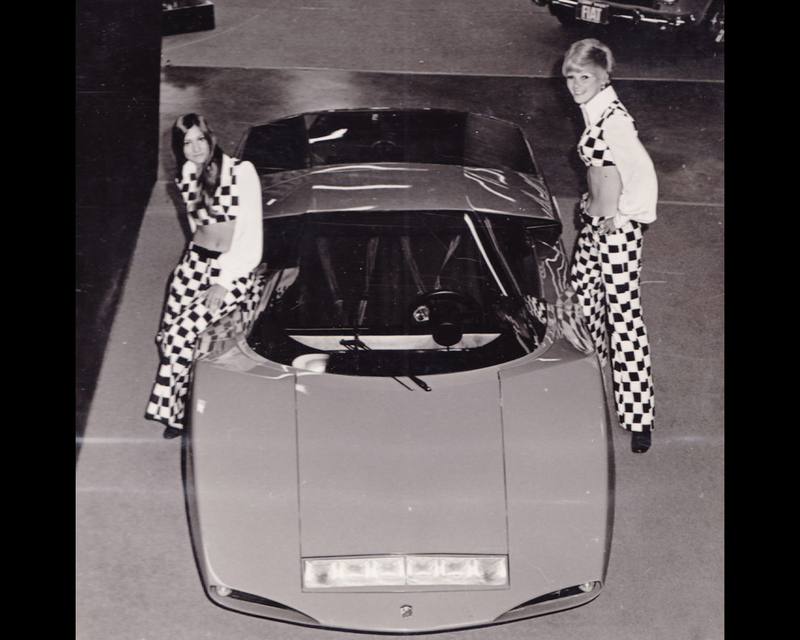 The one-off exhibited here was presented for the first time at the Brussels Motor Show in 1969. 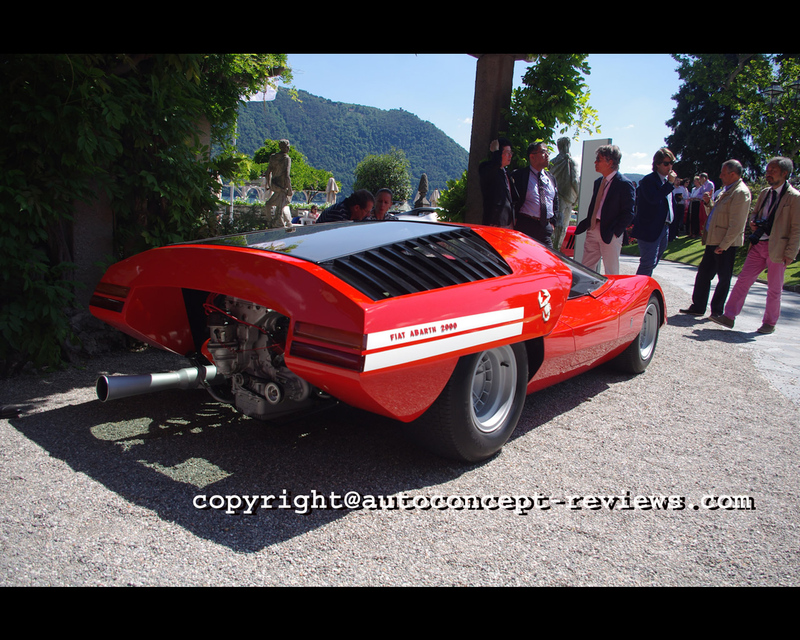 Although rounded contours tended to be favoured at the time, Pininfarina placed a strikingly angular body penned by Filippo Sappino on the Abarth chassis with its rear-mounted engine. The shape had strong angles, straight lines and heterogeneous styling with pioneering elements. Depending on the viewing perspective, the line of the body could emanate an elegance that was extremely modern. 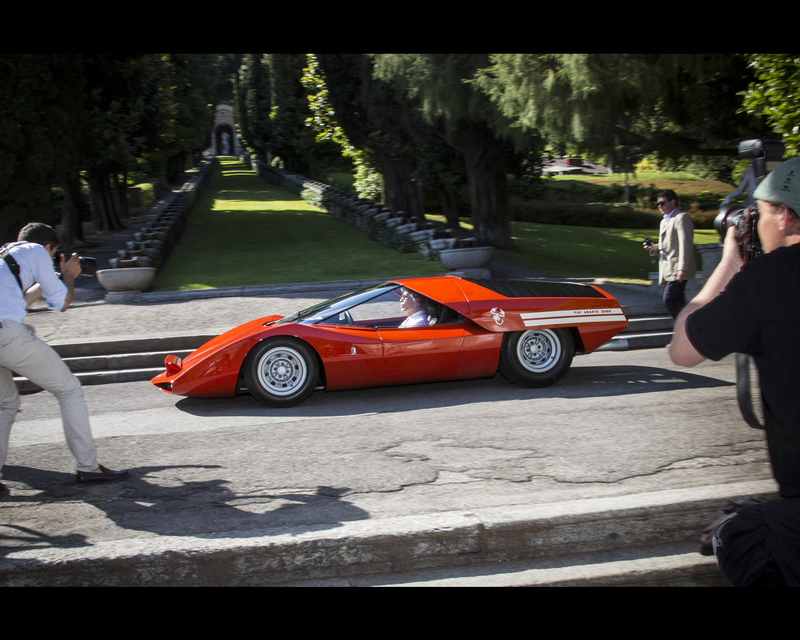 The Scorpione prototype was brought to Japan by Sergio Pininfarina for the exhibition "Carrozzeria Italiana" in Tokyo in 1977 together with two other vehicles. 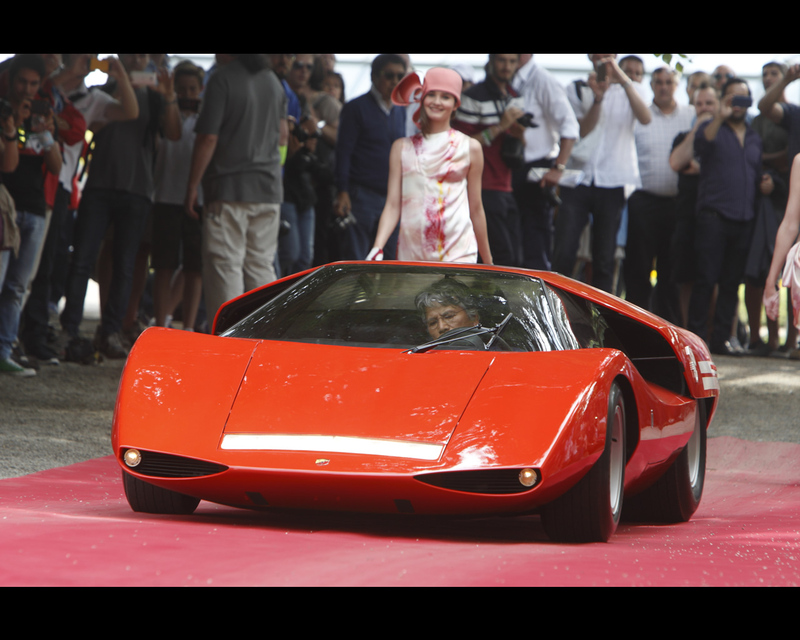 The car remains a fully authentic museum vehicle even today and Pininfarina promised to sell it to the current owner if he established an Abarth Museum in Tokyo. 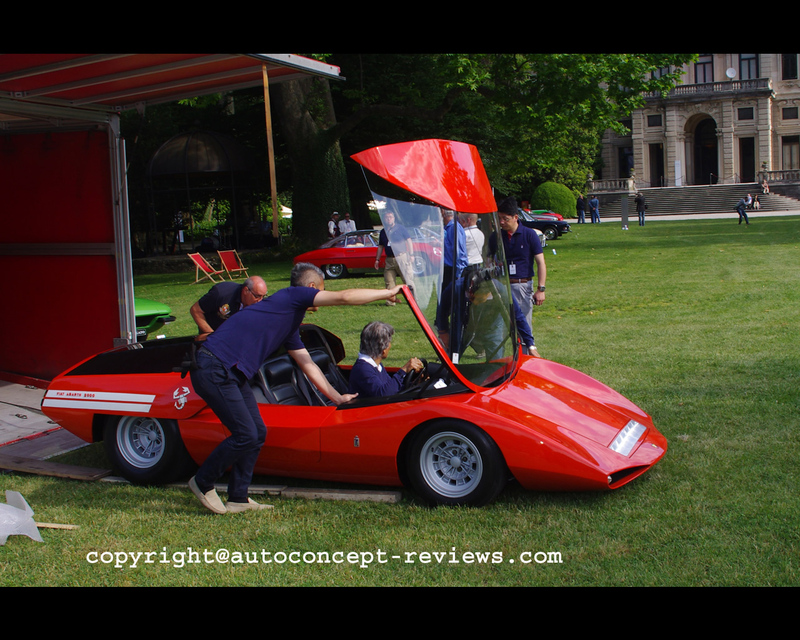 In 1993, this unique museum came into being, and it was opened in the presence of Pininfarina and among others the promised Fiat Abarth Scorpione. 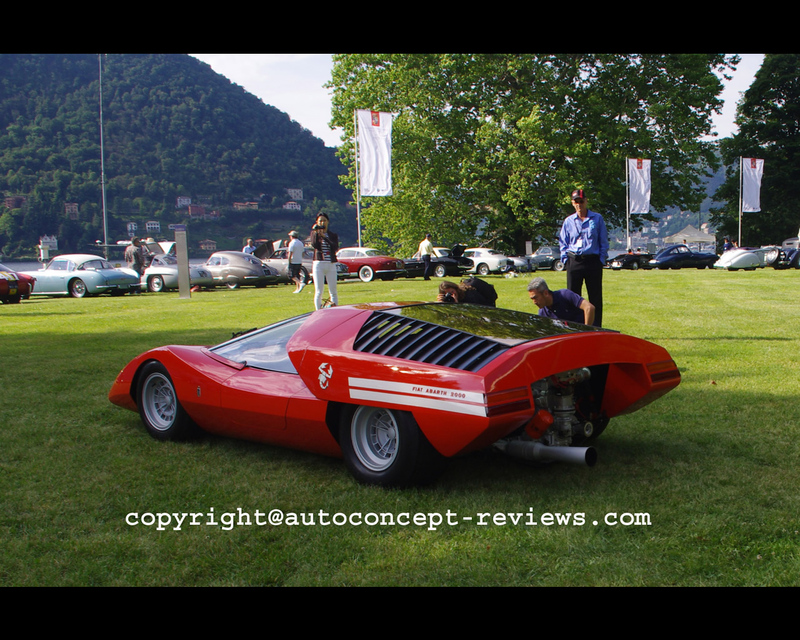 This prototype is still in the possession of the original Japanese owner, Shiro Kosaka, and returned to Europe on the shores of Lake Como for the first time since 1977. 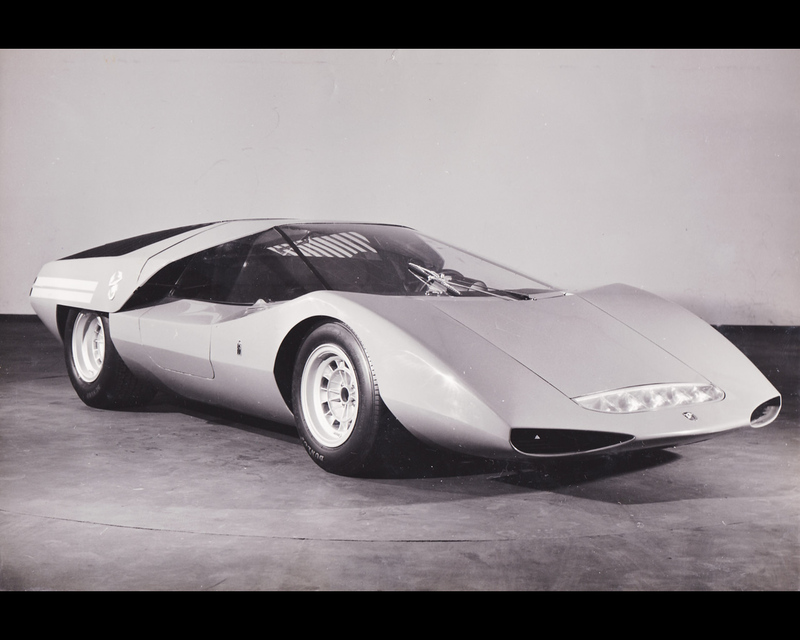 The Fiat Abarth 2000 Scorpione Pininfarina was based on the mid engined 245 hp twin-cam 4 cylinder 1946 cc. racing barchetta Abarth 2000 Tubulare. 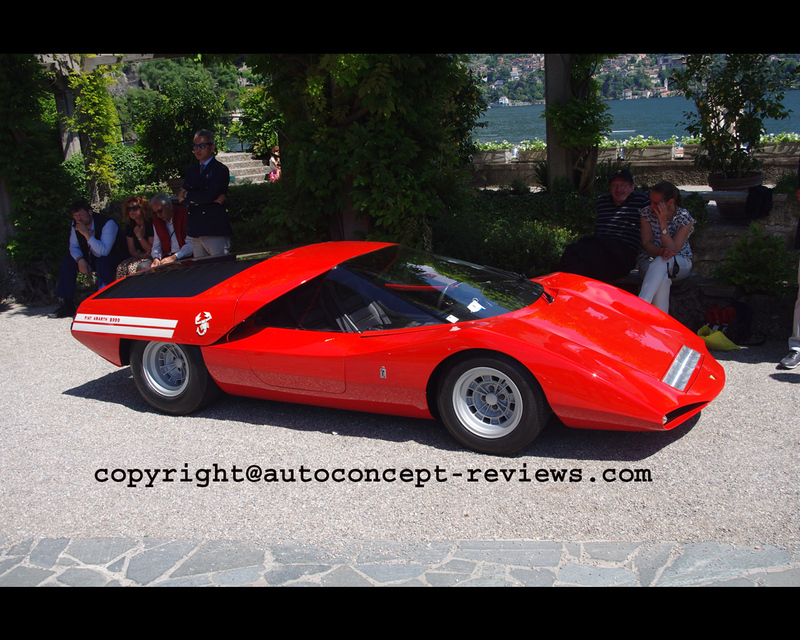 The Pininfarina prototype was also a demonstrator for the new Belgian Glaverbel VHR laminated safety glass. 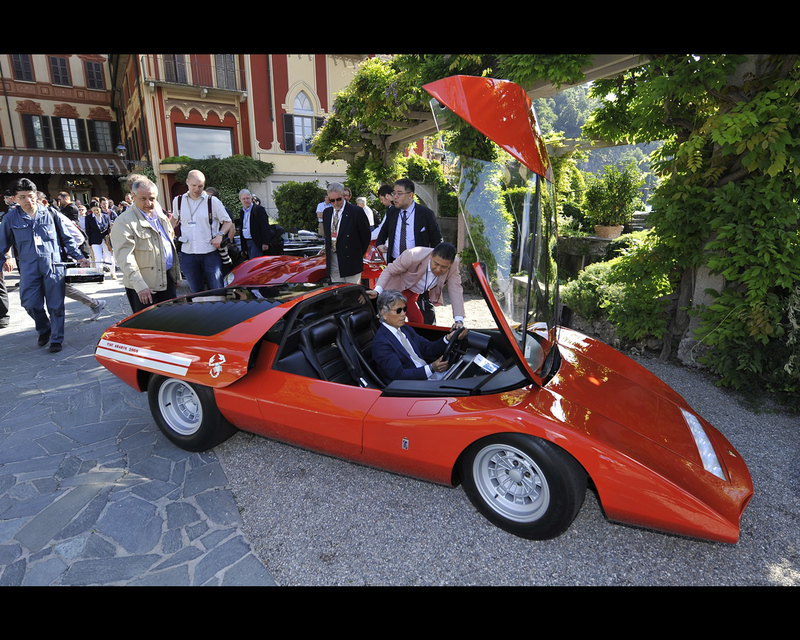 The Fiat Abarth 2000 Scorpione Pininfarina was Class Winner in the Category Le Fuoriserie at 2014 Concorso d'Eleganza Villa d'Este.